Through his natural audience interaction, flawless, intuitive harmonic mixing, unparalleled tune selection and now famous open-till-close sets, he has wowed crowds in every major metropolis. Schulz’s DJ career has largely tracked that of his productions. In the early noughties he was among the first producers to zero in on the hinterland between trance & progressive. His career received a significant boost when, in 2004, he signed with the David Lewis Productions DJ agency (also home to Armin van Buuren). 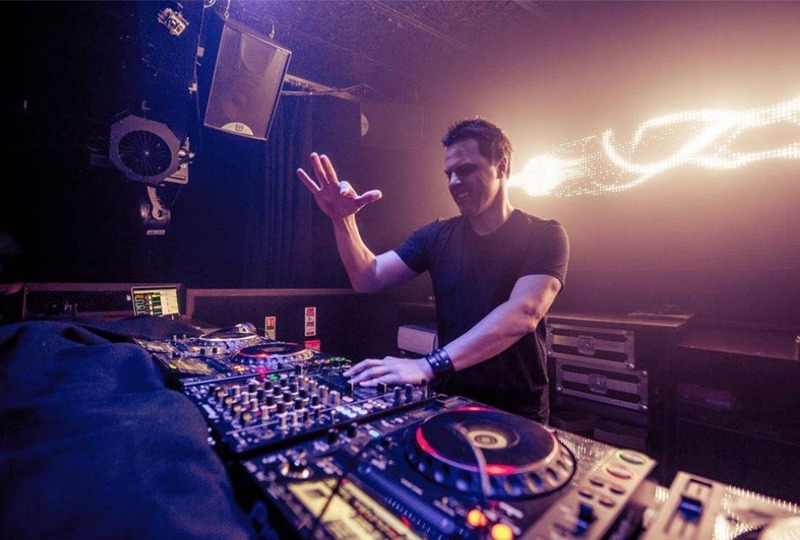 Now a regular fixture at the world’s biggest & most celebrated clubs, arenas and festivals, he lays down his inimitable trance-progressive vision on a weekly basis. In Europe, he’s smashed Tomorrowland, Transmission, Nature One, Dance Valley, Electronic Family, Sunrise and; worked tent-pegs loose at Creamfields; gridlocked Global Gatherings and played open-till-close sets at Space, Miami, Avalon, LA and both Amnesia and Privilege in Ibiza. Stateside the colossal EDC, Nocturnal, and Ultra Festivals have all felt Schulz pressure and yet further afield still he’s engineered floor uproar across South East Asia and Australia. Schulz has polled 4 consecutive years inside DJ Mag’s world’s top 10, has been regularly ranked in the FTB, Trance Addict and Trance Podium charts as the genre’s 2nd biggest spinner and won Best American DJ at the 2008 IDMAs. Schulz’s sound notably came quickest to the ears of European DJs. Following the formation of the Armada group in 2005, Armin sought Markus out and asked him to start compiling tracks for a new vinyl series. The Coldharbour Sessions EPs launched in 2004 (with the first 3 releases coming out on the already established Electronic Elements label). In succession they resoundingly impacted on dancefloors and within 12 months Coldharbour the label came into existence. Named after Markus’ then-production base in London’s Coldharbour Lane, its output immediately brought a new sound-type to Armada’s repertoire. It also became a lightning rod for a new generation of prog-inclined producers - setting in motion the careers of (amongst others) Santiago Nino, Rex Mundi, Mark Otten & Niklas Harding. With 2005 under the spell of Coldharbour’s more refined, minimal yet still melodic take on the trance sound Markus struck again with the first Coldharbour Sessions mix compilation. Such has been the success of the imprint that in 2007 it was joined by sub-label Coldharbour Red. This, in turn, became the launch pad for the careers of Marcus Schössow, tyDi, Glenn Morrison & Evol Waves and was the point of re-entry for early Schulz side-project, Dakota (see section below). In August 2010 it celebrated it 100th release with Schulz’s cover of Cass & Slide’s ‘Perception’. Seven years after its birth, Coldharbour stands among the top tier of trance & progressive labels. Getting regular props from the press, in 2011 DJ Mag stated that it was: “an imprint in the rudest of good health!” while Mixmag trumpeted Coldharbour as “a label fair brimming with ready-to-break production talent”. Perfectly intersecting the quality/quantity axis, Markus’ own productions have been fundamental components in marshalling clubbers and music lovers to his sound. Over the course of the last half-decade singles like ‘First Time’ & ‘Without You Near’ (2005), ‘Fly To Colours’, ‘Never Be The Same’ & ‘I Am’ (2007) ‘Perfect’ & ‘Cause You Know’ (2008) & most recently anthems like ‘The New World’ & ‘Do You Dream?’ have each played their vital part. Markus is also a regular production collaborator. In 2005 he famously teamed up with likeminded producers Gabriel & Dresden and Departure for ‘Without You Near’ and did the same with Andy Moor on ‘Daydream’ and Max Graham on ‘Goodbye’. The impact of all the singles has been catalysed throughout the period by his studio albums ‘Without You Near’ (2005) and ‘Progression’ (2007). ‘Do You Dream’ and ‘Scream’: On June 15th, 2010 Schulz released his ‘Do You Dream?’ album. The 16-track long-player propelled another raft of tracks (‘Surreal’, ‘Not The Same’ and ‘Perception’ among them) onto floors and radio waves. Its release prompted Tilllate Magazine to hail it as “energetic” & “exhilarating”, whilst DJ Mag asserted that it was “hard to see why you won’t completely adore this”. On April the 1st, 2011 the album’s remix edition was released. It included remakes from heavyweights including Ferry Corsten, Cosmic Gate & Super8 & Tab. The remix edition was followed a month later by Schulz’s first DVD release, which documented his ‘Do You Dream?’ globetrotting tour. Following the release of ‘Go!’ (a co-production with Dennis Sheperd), in March of 2012 it was announced that the single would be the first to be taken from his new artist album. With principle recording of his fourth long-player completed in mid June, ‘Scream’ was released on August 31st. Subsequent tracks ‘Caught’ (with Schulz protégée Adina Butar) and ‘Loops & Tings’ (with Ferry Corsten) perfectly captured the 2012 EDM mood, with the latter racing to the #1 position on the Beatport chart. The album has been met with much critical acclaim. Giving it their Album of the Month award, Mixmag said that “tonally, lyrically and vocally (Schulz’s) fourth artist album swings from one highpoint to another” and that the long-player “dazzles”. America’s EDM Magazine meanwhile said that “Scream’ excels most noticeably is among its manifold vocal numbers”. Markus has only made rare use of pseudonyms throughout his career - seeing them only as valuable if they represented an outlet for something other than his established sound. At the turn of the millennium he released 3 tracks (‘Swirl’, ‘Frozen’ & ‘Lost in Brixton’) under the alias, Dakota. Over time the tracks became first-contact points for many new fans. In 2009 Schulz paid dues to that by resurrecting the guise, recalibrating its sound and directed his attentions to a whole album of material. ‘Thoughts Become Things’ was the result and it became a route diversion that branched out to embrace techno, house and other sub-genres. It swelled both Schulz’s fanbase and the range of DJ support for his music. The album justified 7 single releases that have included particular fan-favourites ‘Chinook’, ‘Johnny the Fox’, ‘Koolhaus’ & ‘Mr Cappuccino’. Now in its eleventh year Schulz’s GDJB has continued to be a beacon for an always-growing throng of trance & progressive dance fans. Having begun life on Miami’s Party 93.1 station, it is now broadcast throughDI.fm and Sirius/XM satellite, the Global DJ Broadcast site and over 50 other FM stations around the planet. Based on a regular format, the first show of each month is a two hour long mix from one of Schulz’s rolling World Tour gigs - ones that have of late included Medellin, Columbia, St Petersburg, Russia & Amnesia in Ibiza. Subsequent shows in the month feature Markus mixing his broad span pick of the current electronic dance music best for an hour (which includes the forum-voted Global Selection track of the week) followed by guest mixes from both established and up-and-coming DJs. 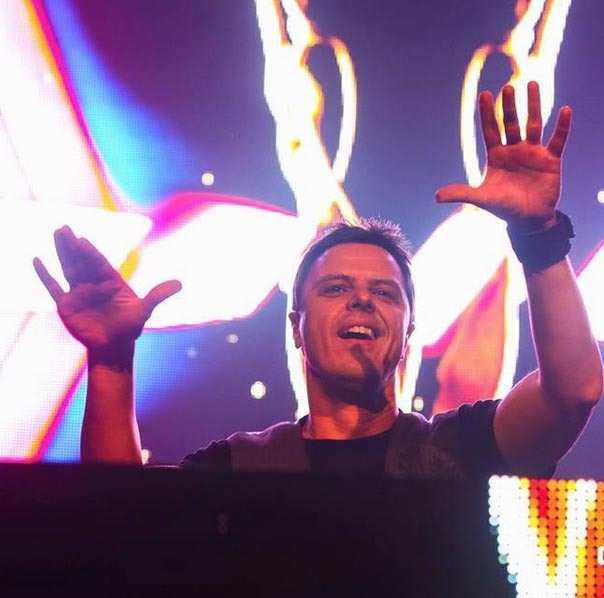 Markus is also responsible for one of the longest running and respected compilation album series in trance history. Providing this microcosmic view of his sound, the albums have become cornerstones for fans collections, with each travelogue edition bringing in a fresh wave of supporters. Notably, the Amsterdam ’08 release was nominated for an IDMA award for Best Full Length DJ Mix (in the same year that he took home the trophy for Best American DJ). Kicking off in 2005 with Miami, it moved to Ibiza in ’06, Amsterdam in ’08 and Toronto in ’09. The following year Schulz was “notably ahead of the curve” (Mixmag) with Las Vegas’10 release, presaging the city’s EDM rise by 12 months. In 2011 he focused on dance music’s surge in popularity in Eastern Europe with Prague’11, before returning to the States for his most recent edition. ‘Los Angeles ‘12’ captured the establishment of EDM as a dominant mainstream force in the American music scene. In giving it their Album of the Month, Mixmag said: “Schulz clearly demonstrates his understanding of the uncompromising sounds that holds sway over LA’s clubs and arenas”. Markus started his remix career in the early 90s with a 30-strong volley of high-profile reworks. Over the course of the decade he re-tooled the production works of Euro dominators like The Real McCoy & Technotronic, house masters & divas including Armand van Helden & Liz Torres, legendary Nineties icons RuPaul, Bette Midler & Sandra Bernhard and fully-fledged A-listers like Madonna (on Love Don’t Live Here Anymore).